Yesterday, Microsoft kicked off Gamescom 2017 with its own 90-minute live stream, detailing the company’s plans for the latter half of the year and the first half of 2018. The most notable thing to emerge from this particular event, however, was the official unveiling of a couple of brand new Xbox One consoles headed your way in the coming months. First off, there’s the extra limited edition Xbox One X Project Scorpio Edition, which is set for a release on November 7th, 2017. The ‘Project Scorpio Edition’ could be considered a bit of a throwback to the original Xbox One’s ‘Day One Edition’ in that it’ll only be available to customers who pre-order and after that, will be gone for good. 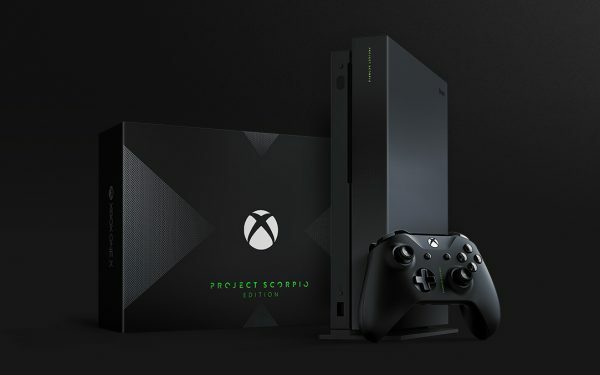 The Project Scorpio Edition features an exclusive graphic texture covering the box itself, the ‘Project Scorpio’ logo emblazoned on both the console and controller, a vertical stand and a 1TB hard drive. You’ll also get a 1 month free trial for Xbox’s Game Pass program for good measure. If that version of Microsoft’s fancy new box seems like your kind of thing, you can get yourself a pre-order in one of these places, but keep in mind that stock is limited and once it’s gone, it’s gone. The second in Microsoft’s one-two punch of fancy new console releases was the Minecraft-themed Limited Edition Xbox One S console. 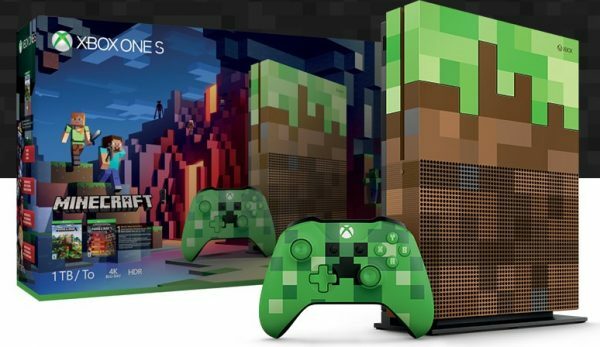 This box features a 1TB hard drive, a vertical stand, a Creeper-themed controller, a copy of Minecraft itself, Redstone DLC and the console itself is completely designed to look like something straight out of Minecraft itself. The front features dirt and grass block textures while the back offers a translucent casing that allows owners to see the inner workings of the system itself, alongwith some light-up Redstone wiring to boot. This one will run you £350 / $400 while stock lasts. 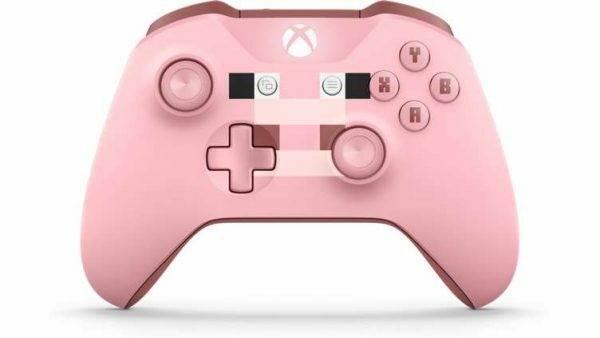 As if that wasn’t enough, you can even buy a separate limited edition Minecraft controller, this time designed after the in-game Pig model. This thing will cost you £65 / $75, though, so it’s likely only for the die-hards.